A survey of 109 journalists published Tuesday "painted the darkest picture of reporting conditions inside China in recent memory", the Foreign Correspondents' Club of China said in a statement. Surveillance was a key concern with close to half of respondents saying they had been followed in 2018, while 91 percent were concerned about the security of their phones, the FCCC's report said. 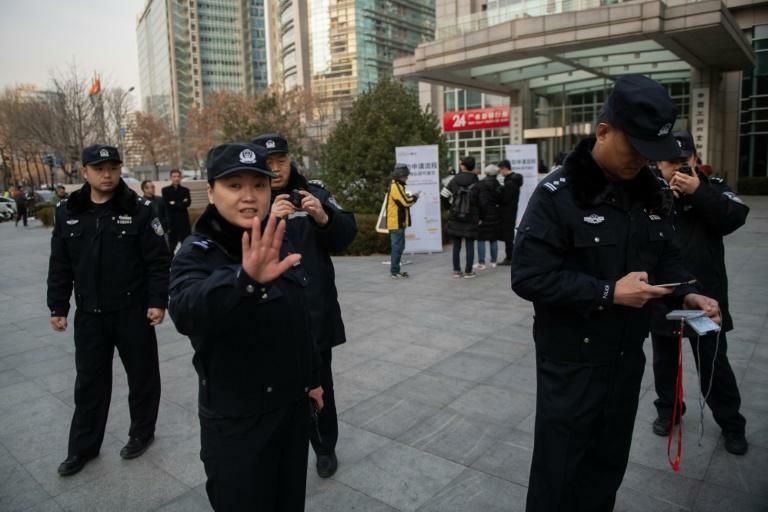 China has accused foreign media of sensationalising the issue but 23 respondents who visited Xinjiang in 2018 said they were subject to some sort of interference -- including being forced to delete pictures or data, having their interviews disrupted or even being detained. "I was followed and tracked for nearly 1,600 kilometres, by at least nine cars and 20 people... had armed police approach my vehicle with shields raised and tell me to put my hands outside the car," said Nathan VanderKlippe of the Globe and Mail in the report, adding that he was detained multiple times in Xinjiang. Chinese authorities say the country has a basic policy of "opening up to the outside world" including protecting the rights of foreign journalists, who may interview anyone who gives prior consent. "There is a risk that even foreign media will shy away from stories that are perceived as too troublesome, or costly, to tell in China," said FCCC president Hanna Sahlberg. "These trends run contrary to the FCCC's hopes for real openness for foreign media to be able to cover China." "Unless they don't report anything on human rights, they all face the increasing risk of losing their visas," he told AFP. China's foreign ministry dismissed the report as "repetitive" from past years and not representative of the views of all foreign correspondents in the country. "It is also basically not worth refuting," foreign ministry spokesman Geng Shuang said at a regular press briefing. "We are willing to do our best to help solve problems, but I am not sure whether publishing such reports is constructive or will help to solve the problem."